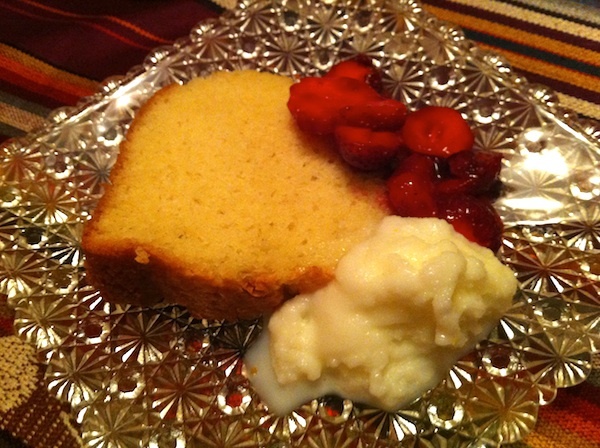 Luscious Pound Cake? Yes, Please! It is so awesome having dogs. For one thing, they force me to get out and exercise. It helps mitigate the effects of sitting on my duff in front of the computer most of the day, not to mention burning off some of the calories that accrue in writing about food (and, of course, eating it). Plus it gets me out onto the streets where I can survey the latest goings-on from who's remodeling or moving to who's doing some new landscaping (or not). This time of year is particularly good for taking stock of the bounty available from Portland's street trees. All I have to do is look down, since the sidewalks are littered with walnuts, apples and chestnuts, not to mention my favorite windfall items, Italian prunes. A fascinating piece of history that I ran across on a research tangent the other day is that we owe the introduction of the Italian prune to Oregon to one Dr. Orlando Pleasant Shields Plummer* (right). Not only does he have a really cool name, he was a medical doctor and professor (and the first dean of the medical school at Willamette University), a telegraph operator and a fruit farmer. 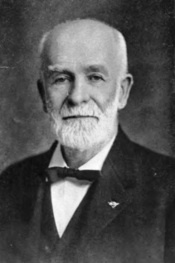 He was also elected to both the Portland City Council (1865-66) and the Oregon Legislative Assembly (in 1880 and 1882). An avid horticulturist, he owned a 20-acre fruit farm in Southwest Portland, planting his first prune trees, a variety called Fellenberg, in the late 1850s. 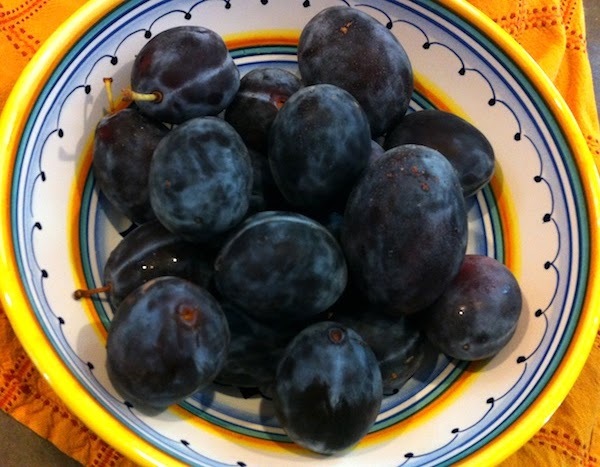 By 1927, one source indicates, there were 55,000 acres of Italian prunes growing on farms in Oregon and Clark County, Washington. Obviously some were also planted in parking strips in my neighborhood, and their fruit makes a mighty fine crisp. Mix together dry ingredients in medium sized bowl. Pour in melted butter or margarine and stir with fork to distribute. 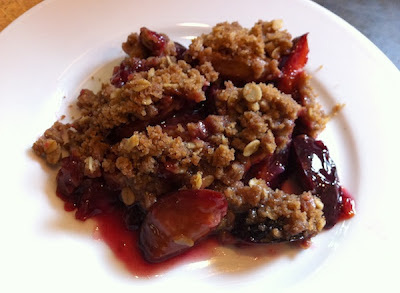 When well-mixed and crumbly, scatter on top of fruit in pan (below). Slice fruit into large mixing bowl. Add sugar, water, cornstarch and vanilla and mix thoroughly. Put in 9” by 12” by 2” baking pan. Scatter topping mixture over the top and bake in 350 degree oven for 50 min. to 1 hr. * The source for this information is from Corning, Howard M. (1989) "Dictionary of Oregon History," Binfords & Mort Publishing, p. 199. Other sources credit nurseryman Henderson Luelling with the introduction of the Italian prune to the state around the same time. I have a confession to make about a habit of mine, one I engage in daily and that I rarely mention: the first thing I do in morning…well, the first thing after I take the dogs out to pee, make coffee and feed the critters…the first thing I do when I finally sit down with a cup of coffee is open up the paper to the comics page. Yes, my name is Kathleen and I'm a daily comics reader. 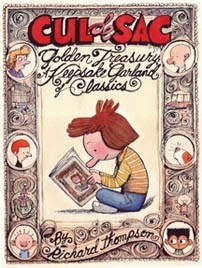 Over the last year or so, after my friend Karl mentioned it was his favorite strip, I started reading a little comic called Cul de Sac. It's so understated, with its sketchy lines, jiggety font and subtle characters, that it had never drawn my attention. But once I started reading it, I was hooked. On Alice and her penchant for dancing on manhole covers. On her brother Petey, who spends most of his time on his bed reading comics (of course) and monitoring his ranking on the Picky Eater scale. And on the other characters who populate their world, like their mom and her habit of wearing loud Christmas sweater, hapless Dill whose brothers may someday blow up the planet, Miss Bliss, the preternaturally perky preschool teacher…the list could go on and on. 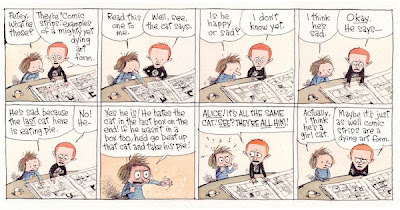 But this last Sunday's strip was to be the final one, due to Richard Thompson, its author, having been diagnosed recently with Parkinson's disease, which has made it impossible to continue with his work. Selfishly, I'm sad to lose these little characters who've been a part of my mornings. 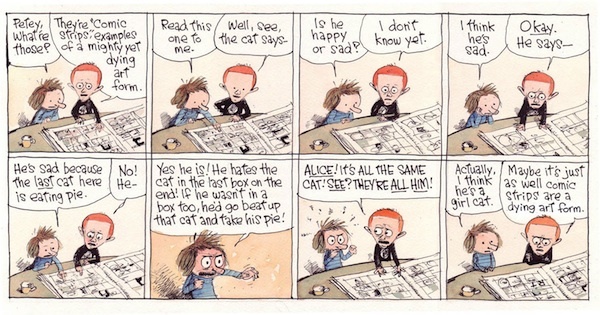 And I'm sad for Thompson, whose brilliant mind made them come alive on the page. But I'll still open the paper every morning and read my comics, glad that I got to know Alice and her friends if only for a little while. Cul de Sac comic above by Richard Thompson from Sunday, Sept. 23, 2012, and Nov. 25, 2007. Read his blog here. I don't know about you, but when I go to the farmers' market, I just grab my shopping bag, jump in the car and go. 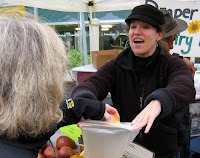 As I walk the aisles looking for that perfect bunch of carrots or winter squash and talking with friends, neighbors and favorite vendors, I'm not thinking about how markets evolved or where the custom of ringing the bell to start the market came from. That's why I'm so glad contributor Anthony Boutard of Ayers Creek Farm is there to enlighten me about the things I take for granted. When the market manager's designated representative swings the bell on Sunday, it is a gesture steeped in history. Markets are regulated places of exchange. The antecedent to the market structure, a big and heavy club in order to whack somebody over the head and exact their goods, was woefully inefficient. The lump on the head approach of unfettered exchange requires double the number of transactions, and headaches all around. People of a libertarian bent rant about the need for "free markets," but that is an oxymoron. From the earliest times, the right to conduct a market or a fair was granted by the reigning monarch to an individual or institution by means of a charter. A critical component of the charter was granting of safe passage to and from the market or fair by the monarch. Without that guarantee from the government, there would be a paucity of vendors and buyers. Markets must also have rules of trade. When Adam Smith was contemplating his "invisible hand" in the late 18th century, he recognized three conditions necessary for an efficient market. The first is the requirement that buyers and sellers have free will, no coercion, no big clubs. Second, the market is composed of atomized buyers and sellers, in other words, everyone is operating at the same scale and no entity can dominate or monopolize the market. Third is the notion of perfect information. These are sweeping conditions impossible to fully meet. Ideally, rules and regulations nudge the market closer to meeting them. For example, standard weights and measures are there to help the market advance towards the third condition, consequently we must use an inspected and licensed scale to conduct trade at Hillsdale. A standardized opening time signified by the market bell is another gesture at meeting the third. In times past, the weight of a loaf of bread was also standardized, giving rise to the extra loaf in a "bakers dozen" to avoid the stiff penalties for coming up short. As soon as rules and regulations supplanted the big wooden club, the need for a means of a club-less resolution of disputes arises. Probably from the time of first organized markets an organic and rational system of justice arose, ultimately giving rise to merchant law. In England during the time of the Saxons, market charters granted the right to "sac and soc and tol" and "infangthef." This meant the owner of the market could investigate (sac) and adjudicate (soc) claims, and exact goods and money (tol) to satisfy a claim found legitimate. The right of infangthef allows the owner of the market to purse and apprehend miscreants within the market or fair boundaries. With the Norman conquest, these rights evolved into the Court of the Piepoudres. The name "piepoudres," in its various spellings, is derived from the French/Latin words for "dusty feet," a reference to the long distances traveled by the merchants as they walked between markets and fairs. The merchants may have traveled from France, Spain, the Low Countries or Ireland, as well as other parts of England. They were a transient population, and needed to move on as soon as the market ended. Consequently, these courts displayed a streak of practicality. The investigation and trial had to be completed within a fixed time, typically a day, or in the case of seafaring merchants, three tides. The proceedings relied on evidence rather than testimony regarding characters of the plaintiff and defendant. The tribunals included merchants and customers. When an alien was before the court, an alien was also seated as a member of the tribunal. We have in these courts the inkling of a jury of peers. The Courts were administered by the market itself, a separate and limited jurisdiction distinct from the town or borough in which they were located. Over time, a body of merchant law developed and the need for a separate court within markets and fairs faded. The very last of these courts was seated in middle of the 19th century. Though, in the United States, the modern tradition of small claims courts shares the spirit of the dusty foot courts—expedience and practicality. If you are interested reading more, Charles Gross discussed the court in The Quarterly Journal of Economics (1906), vol. 20: 231-249. It includes the proceedings from the mid 15th century case of Thomas Smith vs. the contumacious Cristina van Bondelyng. 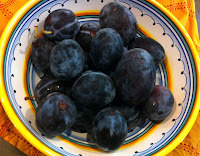 Fortunately, the Hillsdale Court of Piepoudres sits very infrequently, and if all goes well this Sunday and there no infractions of the rules, we can hasten home and enjoy a tasty plum cake (Zwetschenkuchen or Pflaumenkuchen) with a mix of the prunes we picked for market. This recipe is adapted from The Fannie Farmer Cookbook, 11th Edition. As New Englanders, Fannie Farmer is where you go for basic recipes. Butter a 9" x 9" pan. Preheat the oven to 375°. Cut plums in half and place cut side up close together in even rows over batter. The plum flesh should float slightly above the batter. Then sprinkle with turbino sugar, especially over the plums. Bake about 20 minutes or so until the batter is cooked. Cut into squares. The original recipe suggests placing the plums in the batter cut side down, and adding cinnamon to the sugar. Wouldn't look as pretty, and who needs cinnamon when you have a good plum. The Style Manual for Market Farm Newsletters (3rd Edition) satisfied, that's it. There's good news and bad news in the ongoing controversy between the Oregon Department of Agriculture (ODA) and various stakeholders over whether to open up previously protected areas of the Willamette Valley to the growing of canola. 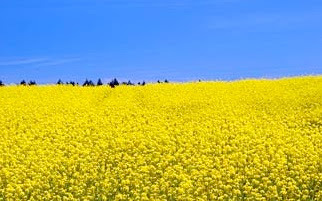 The good news: a temporary ruling by the ODA, made without input from the public or stakeholders, to allow canola to be grown in these protected areas was overturned by the Oregon Court of Appeals. The bad news: the ODA filed for a permanent ruling to allow growing of canola using the same language and map. This permanent ruling requires public comment, including a hearing, before the rule can be implemented. 1. Please consider signing this online petition opposing the permanent ruling. It will be presented to ODA Director Katy Coba and Governor John Kitzhaber during the public hearing on September 28, 2012. 2. 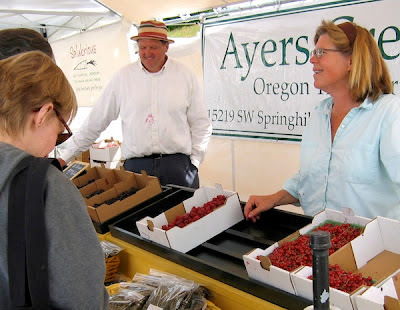 If you can, attend the public hearing on September 28, 2012, at 9 am at the Oregon State Fairgrounds in Salem. If you are an affected stakeholder and/or expert, please provide comments at this hearing and encourage other stakeholders (seed producers, farm organizations, seed companies and others) to do the same. 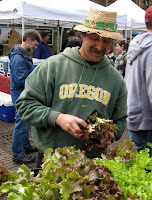 Address: Oregon State Fairgrounds, Cascade Hall, 2330 17th St. NE, Salem, OR. 3. If you can't make the hearing, you can provide comments through October 5, 2012, in response to the proposed rule via email or postal mail. 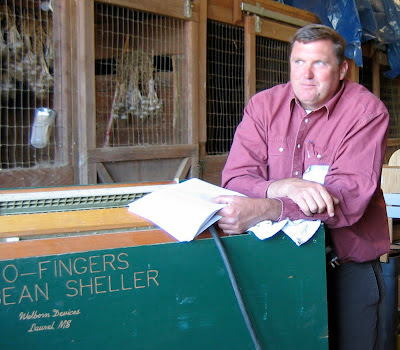 Address: Canola Hearings Officer, Oregon Department of Agriculture, 635 Capitol St. NE, Salem, OR 97301-2532. 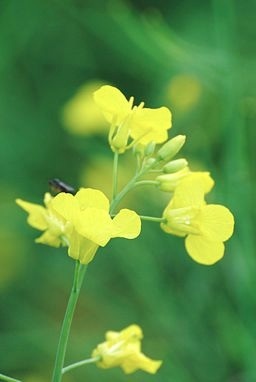 For more information on canola and the issues surrounding growing it in the Willamette Valley, start here. You can read the ruling issued by the Court of Appeals. Photo of canola field in Washington County by Gary Halvorson, Oregon State Archives, via Wikimedia Commons. In this video, a bonus feature from my interview for Food Farmer Earth with Mark Kujala of Skipanon Brand Seafood, watch Skipanon's Shirley Tischer demonstrate how an expert fillets a tuna. Wow! For much of the last century, fishing was a secure livelihood for the people of Oregon's coastal towns, but in the 70s the industry crashed. Tiny Skipanon Brand Seafood survived because Mark Kujala and his family built a microcannery and began marketing their canned fish themselves. 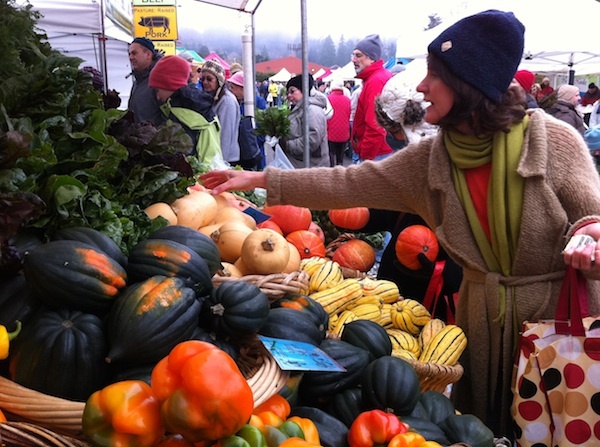 My interview for Food Farmer Earth tells their story. It’s amazing to imagine what it must have been like to walk along the docks of Oregon’s small coastal towns like Astoria and Warrenton in the first half of the twentieth century. Hundreds of fishing boats would chug into port after spending weeks at sea, their holds full of salmon, tuna and sturgeon. They’d tie up next to the thirty or so canneries that lined the waterfronts and unload their catches, the air filled with the shouting of dock workers and the cry of seabirds looking to scoop up any scraps. In the 1970s, Oregon’s coastal fishing industry, consisting for the most part of small, family-owned boats, was being devastated by the rise of large foreign fleets competing for ever-decreasing stocks. Seeing the industry changing and the big canneries moving out or closing, Warrenton fisherman Norman Kujala adapted by building his own cannery on the banks of the Skipanon River in 1978. Read the rest of my story about the Kujalas and Skipanon, then watch Skipanon's Shirley Tischer demonstrate how to fillet a tuna…amazing! In this week's cooking segment, you can learn to can your own fish (in this case sardines) at home using a pressure canner. To find out more about this series of interviews with local food producers, and to get some terrific recipes featuring the ingredients discussed, consider a free subscription. Nothing like being served a drop-dead delicious dessert and getting the secret recipe. (It didn't even require that much begging…) Even better, I got permission to share it with you all! My friend Bruce Kerr's grandmother passed this recipe down to him, and it's perfect with seasonal berries. This winter you could take some berries out of the freezer (ones you wisely froze at the peak of their sweetness during the summer), thaw them till they soften, stir in a little cassis, then spoon them over the top. Speaking of over the top, whip of some of the lemon buttermilk ice cream that Bruce's wife Pamela made to go with the cake and berries…it'll send this dessert into the stratosphere. Grease bundt pan. Cream butter & sugar together, and add vanilla. Add eggs one at a time, stirring between additions. Add flour and sour cream (or yogurt) alternately, and add baking soda. Fill bundt pan approx. 2/3 full, to allow for expansion during baking. Bake at 300° for 1 hour 15 minutes. * Find a variation using lemons and limes at Culinate.com. 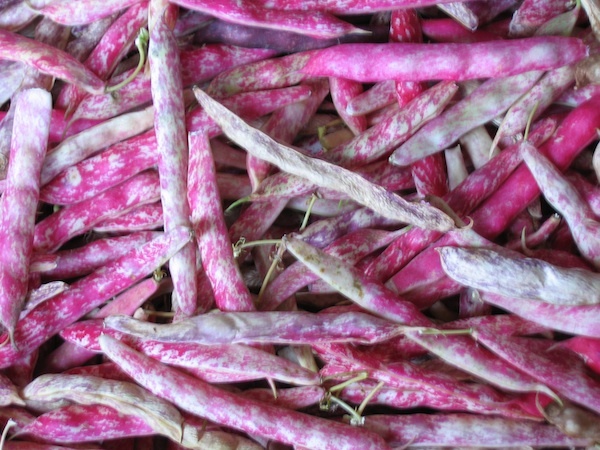 The first time I saw shell beans in the produce section at the market, I was intrigued. 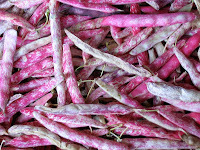 I'd cooked dry beans for years, but had never seen anything like these lovely little beans with their glowing, translucent skins and various colored specks and splotches. Would that I had this explanation from contributor Anthony Boutard of Ayers Creek Farm to read. 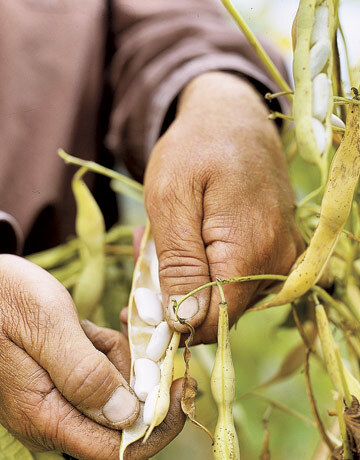 One of the earliest vegetable crops we planted at the farm was shell beans. It was one of those odd ideas that got lodged in our heads, yet we were clueless as to how handle them at a commercial scale. A couple of years later we would repeat the scene with flint corn and frikeh. One of the advantages of farm equipment is that you can plow under your blunders and failures, such as summer turnips, emboldening the creative streak. The beans were planted and we began began to practice the pitch. Sitting around on a hot summer's afternoon shelling beans is a great family time, just like shelling peas. Though, truth be told, as children we had regarded shelling peas and beans as a dreary chore taking us away from far better things. In the spring of 2000 we planted several different varieties. In June, before the craziness of harvest began, Carol took a week off to visit her parents. In a rural country store, she saw a container of freshly shelled butter beans (limas). She joked that it must be a lot of work to shell all those beans. The woman directed her to a shed out back where they had a bean shelling machine. The big green wooden machine had hand-routed on its front panel "Roto-Fingers Pea-Bean Sheller" (top photo, in the Ayers Creek barn). The manufacturer was Welborn Devices in Laurel, Mississippi. A few weeks later, Larry Welborn shipped his first Roto-Fingers west of the Continental Divide. He quipped that it is highly unusual to find any identifying marks on the machines because, once a farmer had one, the information was obliterated to keep it away from any competitors. The Roto-Fingers is a batch sheller. About 20 pounds of beans are shelled at a time, and it is a very gentle process. All of our dry beans are shelled in the machine as well. Fourteen years later, many tons of beans have gone through this contrivance handmade one at a time down there in Laurel, and it still runs perfectly. Fresh shell beans are the equivalent of new potatoes or frikeh sans the smokiness. They are still developing their starches, and they have more of a vegetable flavor than the dry forms. Initially we harvested them very green, but over time we found they are better when they have a range of maturities in the mix. Not every dry bean is good fresh-shelled, and some are very dull indeed. In addition, some shell in a messy fashion and take a long time to clean. The beans, shelled or unshelled, should be refrigerated. Part of the mythology about shell beans is that they keep better in the shell. This is not true—the shells are big chunk of respiring tissue which generates heat and often mold in storage, compromising the beans inside. When harvested, the shell comprises between 50 and 60 percent of the bean's weight. The soldier or johnson is a white bean from northern New England with a reddish figure around the eye that reminds some of a soldier and others, with a less martial mindset, see a piece of anatomy. 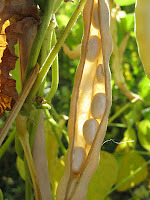 Use it as you would a cannellino bean, very good in a cold salad with tuna and some minced shallot. Get a bit of albacore from Robin at Wild Oregon, or a bit of salmon. 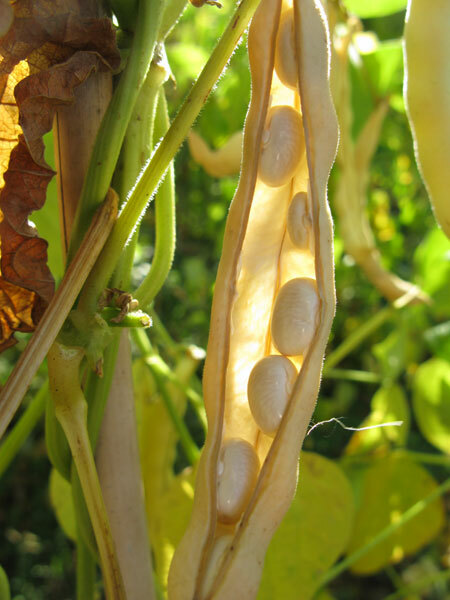 The flageolet is a small green bean which is often served as a side dish with lamb or in a gratin. The name comes from a French wind instrument similar to a recorder. Vermont Cranberry has the most robust in flavor of the three, yet will disappoint you when the beautiful pink bean turns a muddy brown as you cook it. At that point you are left to enjoy the distinguished flavor. A bit of acid will restore some of the markings. Chastened after purgatory among the berry flats, the staff writer is even offering a recipe in compliance with the essential style manual for market farm newsletters. If you are inclined to ignore such instruction, there are two things to remember. Never eat shell beans raw. You will suffer a stomach ache that you will never forget. When cooking any type of beans, add any acid ingredients, such as tomatoes, after cooking. Otherwise, the beans don't cook well and stay tough. In some parts of the country, they add a pinch of soda or slack lime to the water to keep it on the alkaline side of neutral. Judy Rogers offers this excellent method in her cookbook, The Zuni Café Cookbook. Place the carrot, onion and bay leaf in a 2-quart pan and add cold water to cover. Cover and simmer over low heat until the vegetables have softened and flavored the water, about 25 minutes. Add the beans and enough additional water to cover. Some varieties may turn the water grey. Bring to a simmer then tilt the pot and skim any foam that floats to the surface. Simmer gently, uncovered, until the beans are tender, 15-30 minutes, depending on the variety and point of maturity. Stir a few times to ensure even cooking and add water as needed to keep everything just covered. To test for doneness, cut a bean in half. The bean should be moist and tender with no pale, chalky core. Remove the pan from the heat and stir in salt to taste. As it takes time for the beans to absorb the salt, taste the liquid, not the beans for the right saltiness. Stir in the olive oil and leave the beans to cool in the cooking liquid. Cover and refrigerate up to 4 days in their liquid. In his exhaustive treatise, herein referred to as The Turnip Diaries, contributor Anthony Boutard of Ayers Creek Farm discussed the history, degustation and agricultural philosophy of growing the noble turnip. Here he revisits the theme. Finished planting the winter crops this week, including turnips and mustards. Next we start planting the first of the summer crops, garlic, shallots and wheat for frikeh. And you expect us to get the correct change every time (at the Ayers Creek Farm stand at the Hillsdale Farmers' Market) when our minds are addled by having to straddle whole seasons. Anyway, you might ask why we continue to plant turnips as none of you want to buy them, and sometimes recoil at the mere suggestion. We are waiting for some sharp researcher to illuminate the common link between the great centenarian cultures. Theories state that secret of longevity is fish in Japan, yoghurt in Georgia, garlic in Russia, and pomegranates in the Middle East. Jiminy cricket, can't they figure out that turnips are enjoyed and eaten with gusto in all of these long-lived cultures? Hope springs eternal, so we pray the turnips grow well and our perspicacity is rewarded as reason returns to your eating habits. You can even start your centenarian regime now because a diet rich in plums is the other common thread among those cultures. The plums may even generate a hankering for turnips as you feel the spring return to your step. 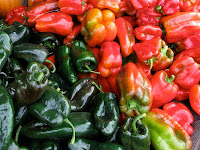 Whether you call them peppers, chilis or chiles, there is something magical about these fruits of the capsicum plant and, in my opinion, they are at their very best when roasted over an open flame. Jim Dixon of RealGoodFood explains how and what to do with them. While it may be the end of summer everywhere else, ours runs through September (and into October if we’re really lucky). 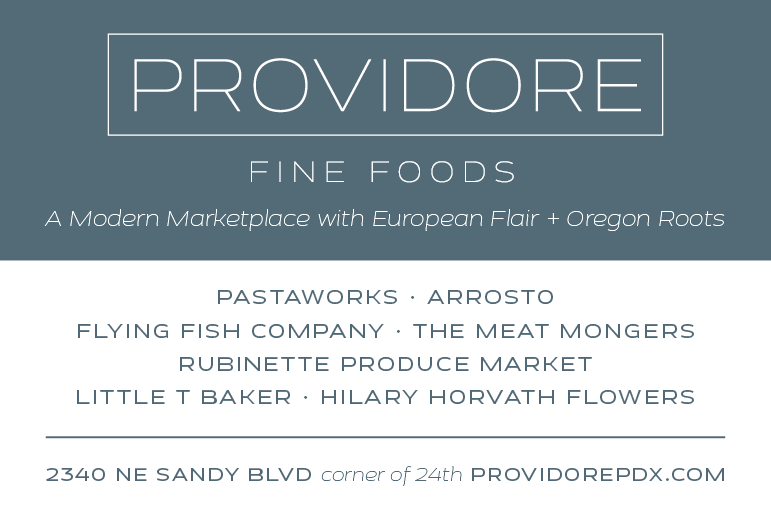 Sunny afternoons, cool evenings and a cornucopia of great produce. Especially peppers. Now’s the time when the smell of peppers roasting wafts through the farmers' market or even the grocery store parking lot. You can usually buy roasted peppers, but it’s easy to do yourself. My first published food story was about roasting peppers, and back in the 1980s I did it with the propane torch I used for waxing my cross country skis (just knowing that skis were once waxed really dates me). These days I usually roast peppers in the oven or over coals on the Weber. 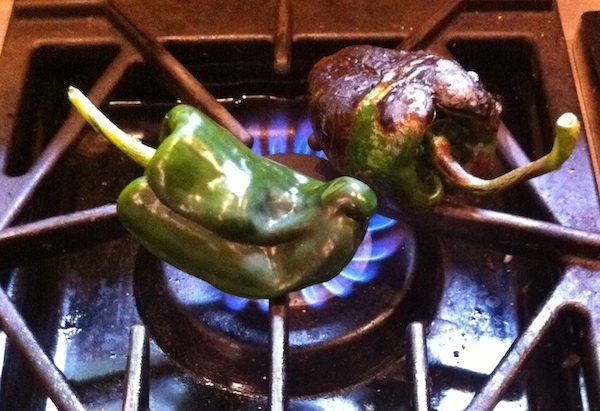 But a hot-burning torch has advantages, especially when you want to make something like chile rellenos. The hot torch (or even the gas flame on your stovetop) blisters the skins quickly and the pepper doesn’t cook as much as it does in the oven. The firm chiles hold their shape better for rellenos, but for chile verde it’s not so important. My version is inspired by the green chile ubiquitous in the American southwest, but I won’t claim it’s authentically anything except really tasty. Use mild chiles like Anaheims if you can’t take the heat; poblanos are usually a bit hotter, but always taste any chile first. It’s a good idea to wear gloves, and a note that you can see from your work area reminding you not to touch your eyes or other sensitive body parts isn’t a bad idea. Roast several chiles (45 minutes in a 350 oven or hold with fork over a gas flame until the skin is blistered and blackened) or use pre-roasted chiles. Scrape most of the blackened outer skin off , but don’t worry if some is still clinging. Pull out the seed core and as much of the seeds as you can (run under cold water if you like). Chop them up coarsely. Chop an onion and maybe a few garlic cloves; cook in extra virgin olive oil (or pork fat, or any other animal fat) for a few minutes. Sprinkle in a bit of ground cumin and a good pinch of oregano; add some salt. Stir in the chiles, sprinkle with a tablespoon or so of flour and cook for a few minutes. Add about a half cup of water, bring to a boil and let simmer for a few minutes more. Serve over eggs, on a cheeseburger, alongside tamales or with almost anything. Cut pork shoulder (country style “ribs”) into chunks. Brown a little, add water, and simmer for a couple of hours (add more water if necessary). When the pork is very tender, break it apart with a fork and add some chile verde. Serve over Koda Farms brown rice. Standing with Ron Muise in his sheep pasture on Cape Breton Island, Nova Scotia, you'd think that this would be the perfect setting for a thriving dairy industry. And, according to Ron, you'd be right, except that it ceased thriving a few decades ago. Growing up on the island, he remembered fifty or more dairies dotting the countryside, with happy cows munching on the rich grass that thrived on the island's sea air. By the time I met him this year, there were only a handful left…one of which was his own Wandering Shepherd creamery near Sydney. He himself had left the island as a young man, moving to Europe to become a chef and eventually owning his own restaurants. As a chef, Muise said he'd always had a strong interest in cheese and, as is common in European restaurants, had always featured a selection of favorite cheeses for his cheese courses. 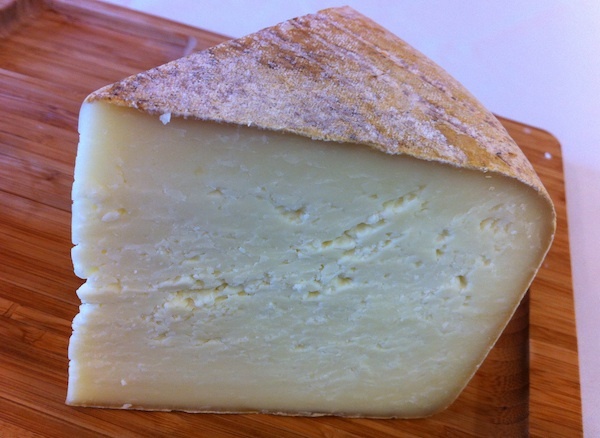 The desire to make his own cheese coincided with an opportunity to move back to his wife's family's farm on Cape Breton's Mira River, a property of about 24 hectares (just under 60 acres). He sought out the advice of Vermont's Peter Dixon, the Johnny Appleseed of the artisan cheese movement and a go-to guy for anyone getting started in the cheese biz. Because of Canada's dairy cow quota system, and not being a big fan of goats or goat cheeses, he decided to throw in his lot with sheep. It didn't hurt that his grandmother had a sheep farm when he was growing up, and he really liked cheeses made from their milk. He built a cheese room next to the family farmhouse and last October got a license to start production of his own raw ewe's milk cheeses. 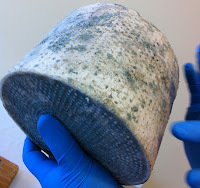 Muise makes a Roquefort-style cheese he's calling Gorm Ailig (Gaelic for "Alec's Blue") and Lauchie's Tomme, both named for his two sons, as well as an Ossau-Iraty type called Caora Caise (“Sheep Cheese” in Gaelic). 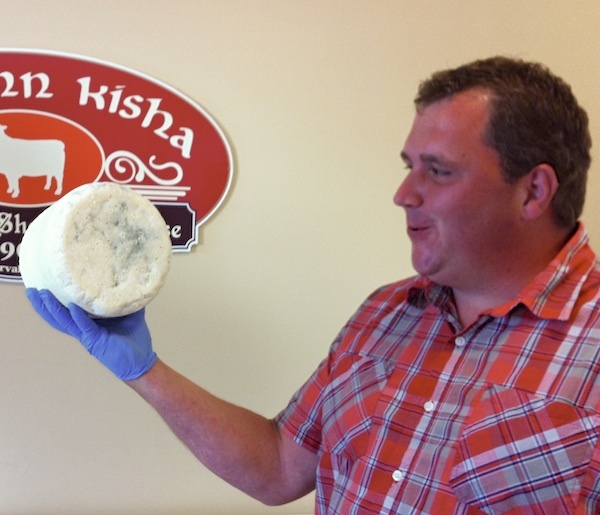 Currently he's selling them at the Cape Breton Farmers' Market in Sydney and three other markets across the island, and is finding an eager audience among local chefs interested in featuring his cheeses on their menus. He's become a mentor to a batch of young farmers eager to join the nascent local food scene. With only 45 sheep of his own and his cheese production soon growing beyond the milk they can provide, a couple of local farmers have started flocks of their own with the idea that they'll help provide the additional milk Muise will need. He's also working with the government to implement programs that will see more development in artisan production for small scale producers. Muise is inspiring when he talks about the potential for the island to develop an artisan sector, with the rolling terrain perfect for small farms and with plenty of land available at affordable prices. The drawback? A six-month growing season, from May through October. 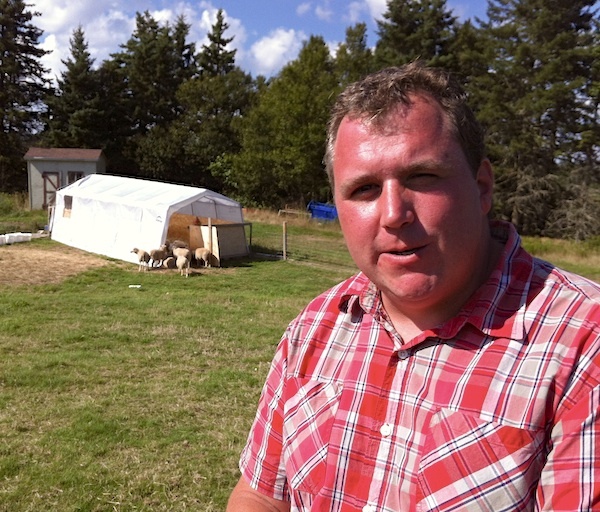 But with the Cape Breton farmers' market and a local bank providing microloans for farmers and producers to develop their businesses, Muise is optimistic that the island can become a center for artisan products in Eastern Canada. Read the other posts in this series: Arriving in Nova Scotia and The View, Redux, Talk about Good Stuff! and A Forager Finds Home. Guess what? 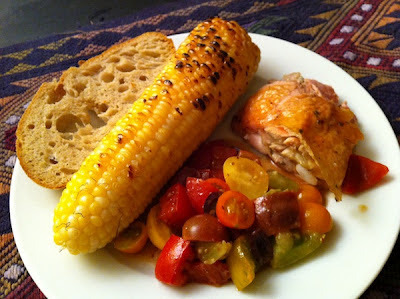 We're eating lots of grilled corn and tomatoes around here, savoring the flavors of late summer as long as we possibly can. This time our homegrown tomatoes appear in a salad with balsamic vinaigrette, and Dave threw a chicken on the grill to make the whole deal even better. Obviously this salad should be made from tomatoes picked off your own plants at the peak of the season or bought from your favorite farmer at the market. Different colors, sizes and types make it fun. Oh, and this is great served with bread, since the tomato juice and dressing in the bottom of the bowl is awesome for sopping. Put garlic into small mixing bowl. Add Dijon and vinegar and whisk to combine. Sloooowly drizzle in the olive oil while whisking like made (this is best accomplished with help from an assistant, but it can be managed by yourself). The aim is to emulsify the mixture so the texture is thick and looks like peanut butter.